Everyone needs a bogey-bird – one that frustrates you through multiple misses and failed pursuits, so much that it begins to become something of a joke among peers who have had no such difficulty in seeing the bird. 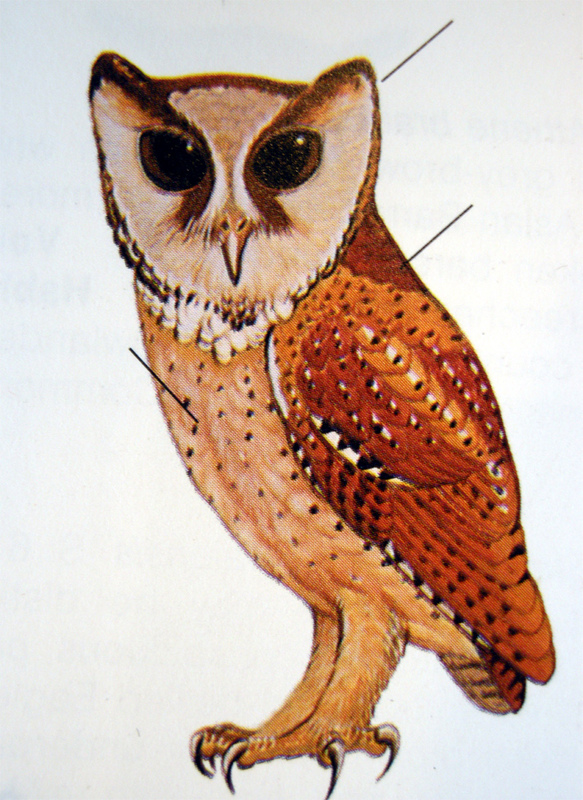 Mine was Oriental Bay Owl. From my first encounter at Pasoh in Malaysia in 1990 when I had an untickable glimpse, I have had numerous encounters with calling birds that refused to be tape-lured and wouldn’t leave the dense jungle thickets that were calling from. As recently as last year, a calling bird in Southern Thailand wouldn’t come in to view, and with a grumpy group of customers wanting their supper I had to walk away, returning alone the following night to a silent forest, no Owls to be heard whatsoever. Which brings us to the present. A visit to Kaeng Krachan National Park, Thailand in February 2012, where a night spent camping at Bang Krang campsite provided yet another unsuccessful contact – a distant bird called for a short time and could not be lured closer. Returning to the campsite a week later, there was magic in the air. Having just had crippling views of a Leopard sat by the road, Dave Willis, Reg Land and I rolled into the camp, ate rice and curry, and prepared our tents for the night. The Brown Boobooks appeared in the camp soon after dusk, and a little tape-playing of Bay Owl at the forest edge suddenly provoked a strong response from the bird – seemingly almost in the camp! Of course it wasn’t, it was in the dense thicket across the stream, so little by little I sneaked towards it, heart in mouth, off trail and into a jungle well-known to be packed with large animals, especially at night! Having had the foresight to drink a couple of Singha beers before this nocturnal expedition, I was primed with dutch courage and drenched in sweat as I blundered closer to the songster. It seemed it was just a few metres from me, but when I scanned with my torch, I just couldn’t find it! The bird moved back and forwards, I crashed about cursing, determined that this time I wasn’t going to fail, but it wasn’t looking like I was going to be able to see it! It certainly sounded like a ghost, maybe it was also invisible! I jumped out of my skin when a Muntjac thumped the ground closeby and barked, and I was on the point of throwing in the towel when a shape like a massive moth floated by at close range, then perched nervously on a branch. There it is! Bay Owl! You beauty! That had taken more than an hour and a half, but what a joy, and what a great-looking bird. It flew off so I had to find it again, which didn’t take long, and soon I was able to drink in its facial pattern, with black mascara and a heart-shaped face, little black spots dotting its orangey plumage. When Dave returns to Norwich, maybe I will be able to post a picture of it. Meanwhile..
Click here for some audio of the beastie.. I so know how u feel except I havent see the b-y thing yet!